Mon., 25 Nov. - Mon., 2 Dec. Sat., 16 Nov. - Thu., 21 Nov. Tue., 29 Oct. - Tue., 12 Nov. Tue., 19 Nov. - Mon., 2 Dec.
Wed., 12 Feb. - Wed., 19 Feb.
Wed., 13 Nov. - Tue., 19 Nov. Sun., 2 Jun. - Thu., 20 Jun. 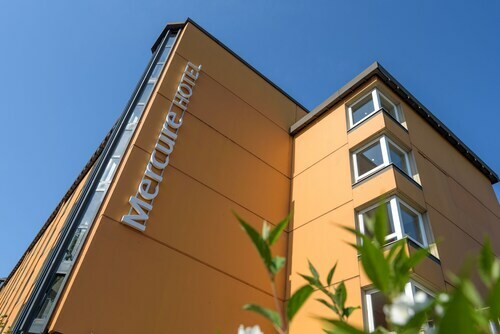 Located in Reinickendorf, this hotel is 2.7 mi (4.3 km) from Schloss Charlottenburg and within 6 mi (10 km) of CityCube Berlin and Messe Berlin. Berlin Zoological Garden and Olympic Stadium are also within 6 mi (10 km). Jakob Kaiser Place U-Bahn is 26 minutes by foot. 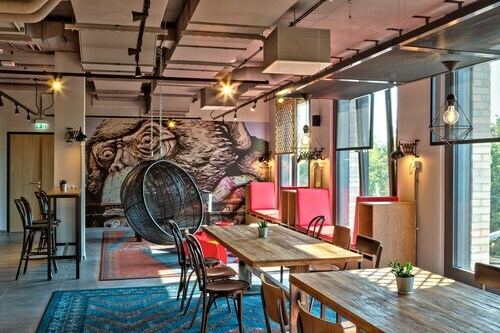 Located in Charlottenburg-Wilmersdorf, this hotel is within 2 mi (3 km) of Technical University, Kurfürstendamm, and Berlin Zoological Garden. Theatre of the West and Victory Column are also within 2 mi (3 km). Tiergarten S-Bahn is 15 minutes by foot and Ernst Reuter Place U-Bahn is 15 minutes. 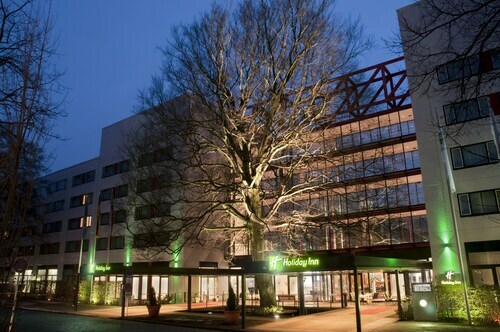 Located in Spandau, this hotel is within 3 mi (5 km) of Schloss Charlottenburg, Messe Berlin, and Spandau Citadel. ICC Berlin and Berliner Funkturm are also within 3 mi (5 km). Rohrdamm U-Bahn is 8 minutes by foot and Siemensdamm U-Bahn is 11 minutes. This family-friendly property is located in the city center, within 2 mi (3 km) of Schloss Charlottenburg and Deutsche Oper Berlin. Kurfürstendamm and Messe Berlin are also within 3 mi (5 km). Jungfernheide U-Bahn and Jungfernheide Station are within a 5-minute walk. Located in Mitte, this hotel is within 1 mi (2 km) of Tiergarten Park, Bellevue Palace, and Victory Column. Reichstag Building and Berlin Zoological Garden are also within 2 mi (3 km). Turmstrasse U-Bahn is only a 3-minute walk and Birkenstrasse U-Bahn is 11 minutes. 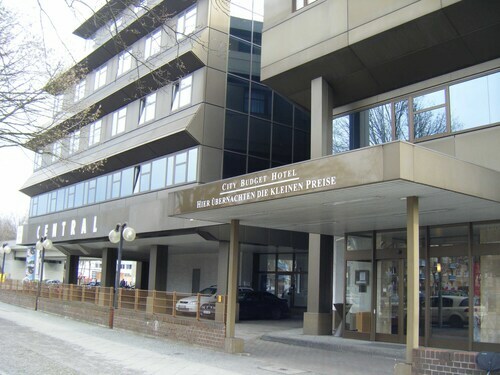 Located in Reinickendorf, this hotel is within 6 mi (10 km) of Deutsche Oper Berlin, Friedrichstrasse, and Berlin Wall Memorial. Schloss Charlottenburg and Charite are also within 6 mi (10 km). Holzhauser Street U-Bahn is only a 2-minute walk and Borsigwerke U-Bahn is 8 minutes. 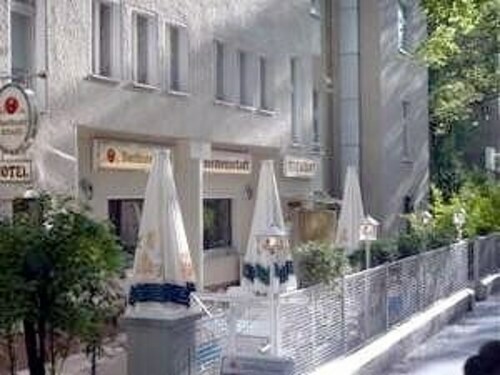 Located in Spandau, this pension is within 3 mi (5 km) of Schloss Charlottenburg, Messe Berlin, and Olympic Stadium. Spandau Citadel and Deutsche Oper Berlin are also within 3 mi (5 km). Siemensdamm U-Bahn is 6 minutes by foot and Rohrdamm U-Bahn is 6 minutes. Question : Which airline has the least delays from Toronto to Berlin? Answer : Air Canada Rouge leads the way with a 68% on-time rate. Life has too much to offer to spend it waiting in an airport, so check out Air Canada Rouge to get in and out of airports as quickly as possible. If they are late for some reason though, the average delay is about half an hour. Question : What airports do you fly into for Berlin? Answer : Departing from Pearson International Airport isn't the only way to get to Tegel Airport. Try searching for flights from Billy Bishop Toronto City Airport (YTZ). Over the upcoming months, flights from YTZ to TXL are being booked 59% cheaper than flights from YYZ to TXL. Being only 11 miles away from YYZ, it's easily accessible for most. Answer : The cheapest day to fly from Toronto to Berlin is on Tuesday. If you would like to save a little cash on your next holiday look for flights on Tuesday. Question : What is the cheapest date to fly to Berlin? Answer : Tickets are presently being sold for $601, 80% less than the average price. As of Apr 15th, the cheapest day to fly from Toronto to Berlin is May 12th. Answer : You sure can and you may save money by changing when you leave. The lowest-cost day to fly in April is Tuesday. Having flexibility in your travel plans means you can save more, so be sure to plan ahead when possible. Question : How long do most people stay on their visit to Berlin? Answer : Of course, you are not most people, but if you were, you'd stay roughly 26 days. Question : What is the cheapest airline flying from Toronto to Berlin? Answer : Flight prices are hitting as high as $20,355 over the next three months when flying to TXL from YYZ. Check out Icelandair, as customers have been booking flights at just $589. Flights from Lethbridge County to Seattle Tacoma Intl.